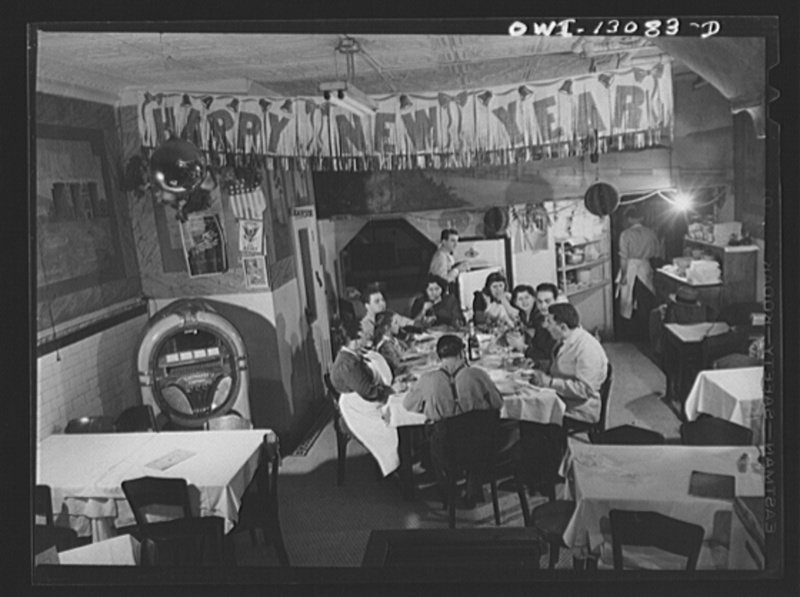 Restaurants and bars typically experience a spike in the number of patrons during the holiday season. However, not all of them effectively utilize this patronage to increase their restaurant holiday sales. If this sounds familiar, take a slightly different approach this year. With some forethought, it’s possible for you to dramatically increase holiday revenue. Here are a few ways you can effectively generate more interest and increase sales this year. Customers will enjoy celebrating the season with your restaurant’s holiday entrees, desserts and cocktails. Highlight these special seasonal items with custom menus. You don’t even need to throw out your regular menus. 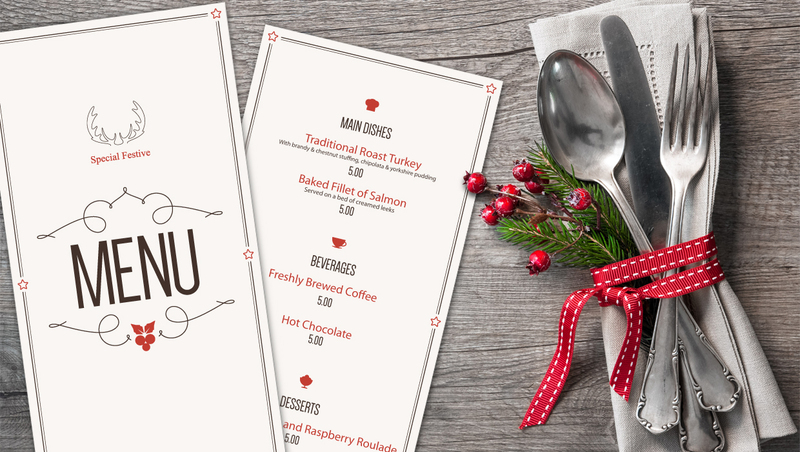 Table tents and smaller auxiliary holiday menus can be used. 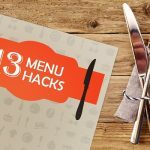 Make sure to have to-go menus on hand for busy customers who don’t have time to sit down. 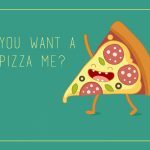 Not sure how to design you menus? 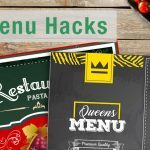 Check out this post on menu hacks to learn some of the menu tricks of the restaurant industry. 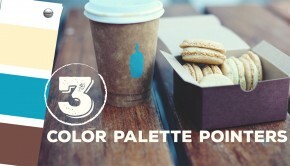 via Howtostartablogonline.netGood photos of food and drinks are always a hit on Twitter, Facebook and Instagram. Pictures of patrons enjoying your food (taken with their permission of course) also make for good social proof. A unique hashtag will make it easy to track all your holiday posts. Encourage guests to use your hashtags on their own posts by including them on your holiday menus and table tents. If you know you’re connected through social media with your regulars, be sure to tag them. Word of mouth from someone they trust is a strong promotional tool, and when combined with social branding, it becomes a new channel for your restaurant holiday sales. 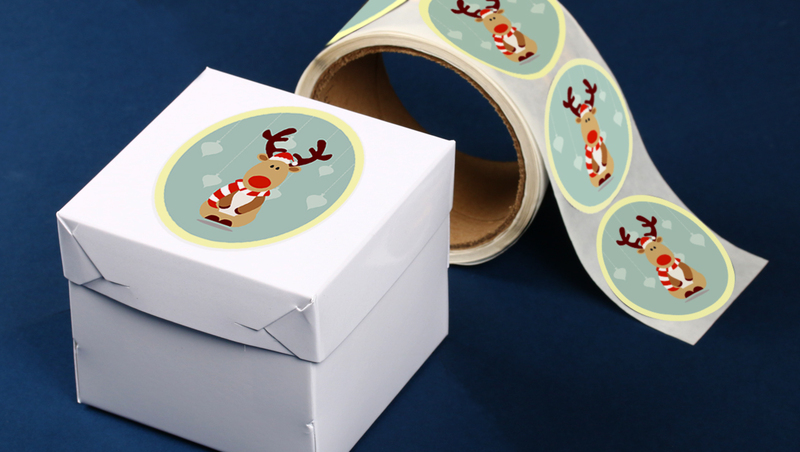 Send out materials slightly ahead of the holidays, before your target customers have made a decision. 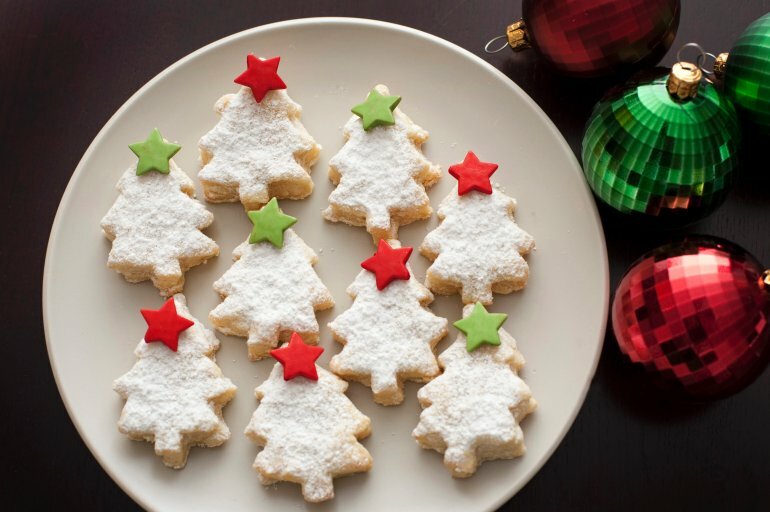 Remind local businesses of your catering and hosting services for their holiday parties. Don’t have a mailing list? Can’t afford one? 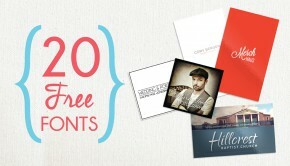 Go through your records of previous clients and send them a postcard. 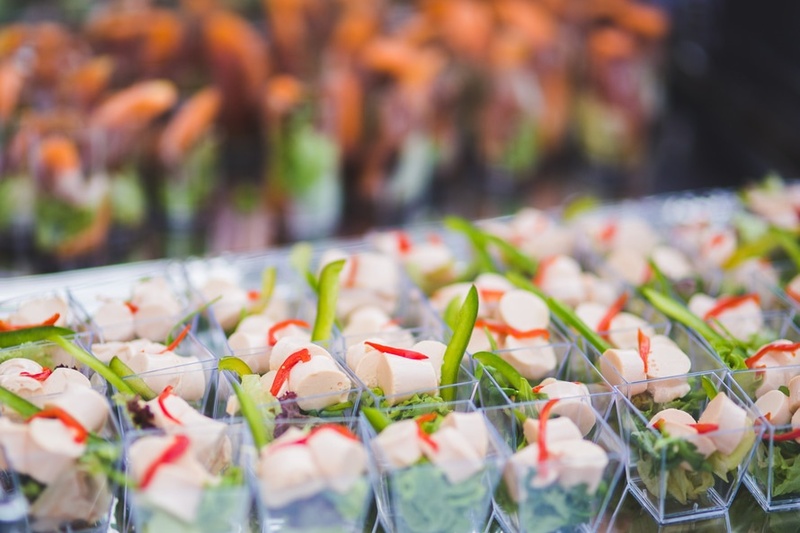 This will not only remind them how valuable they are to you, but this will help make your restaurant an obvious option for catering services. If you can’t go with a mailing list, you can try going door-to-door with brochures or door hangers. 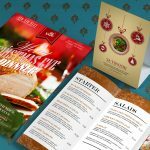 Local businesses in particular, are good places to leave your holiday print materials. It often pays to develop relationships with local businesses as this can be a significant source of revenue for your restaurant during the holidays. 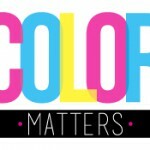 Be sure to ask the business owners for permission when you leave marketing materials at their front desk. For most restaurants, this is best done through a local charity. 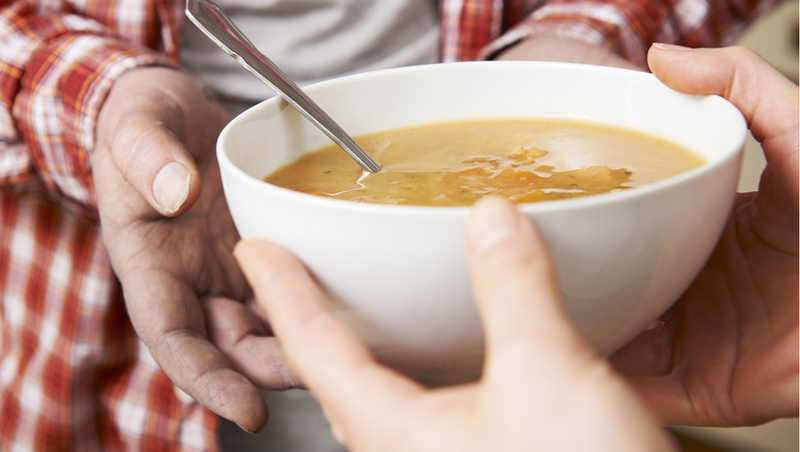 Providing food for those in need will not only help them feel the holiday spirit, it can also help you and your employees be closer to the community you serve. You could also consider initiating a toy collection drive or food drive for local charities. Offer a freebie like a free appetizer or dessert for customers who participate, to encourage participation and a reason to come in your doors. Let your customers participate in your chosen charity program by posting the details on social media, as well as through flyers given out to the local community and posters in your restaurant. Encouraging employees to participate in your restaurant’s charity drive or one held by a local NPO can also be an opportunity for you and your employees to improve team building with some friendly competition between them. Let the whole family feel the spirit of the season. Having specific dates with dining hours dedicated to families can help increase restaurant holiday sales . At these times, customized children’s menus and a visit from Santa can help create a truly special holiday experience. You can also create a more enjoyable time for the whole family with holiday-themed coloring sheets and stickers. Give these out to children and the young at heart alike. Parents will like the distraction for their kids while they enjoy a peaceful meal.